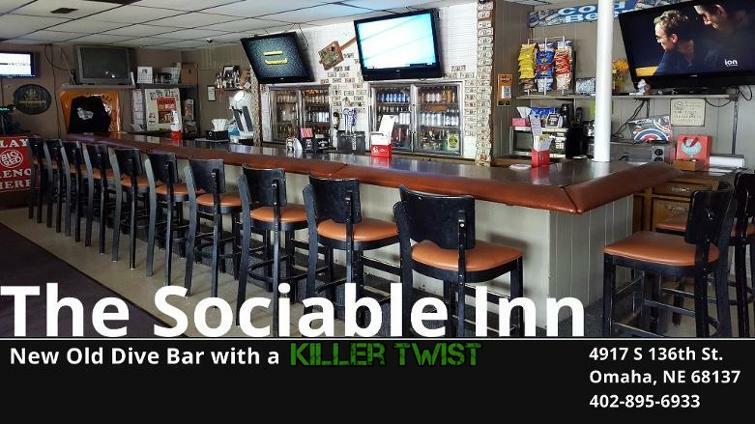 New Old Dive Bar with a "Killer Twist"
The Sociable Inn in, located in downtown Millard, Nebraska, is the perfect place to meet with friends and relax with a cold beer or cool cocktail. You will love our casual environment with a neighborhood feel. - everyone loves to visit, relax and have a great time. Come visit us and you'll see that it is our friendy and fun atmosphere that sets The Sociable Inn apart from all the rest. Check out our Calendar for more details or come on by to enjoy the jukebox while shooting pool, playing an arcade game or playing darts. Get in touch - find us on the map. Inquire about our party room.